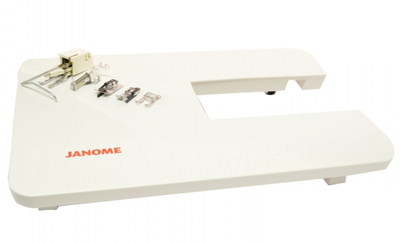 Home > Sewing Machines > Janome Sewing Machine >Janome 2030DC Computerised Sewing Machine. Includes FREE JQ2 Quilting Kit worth £119. 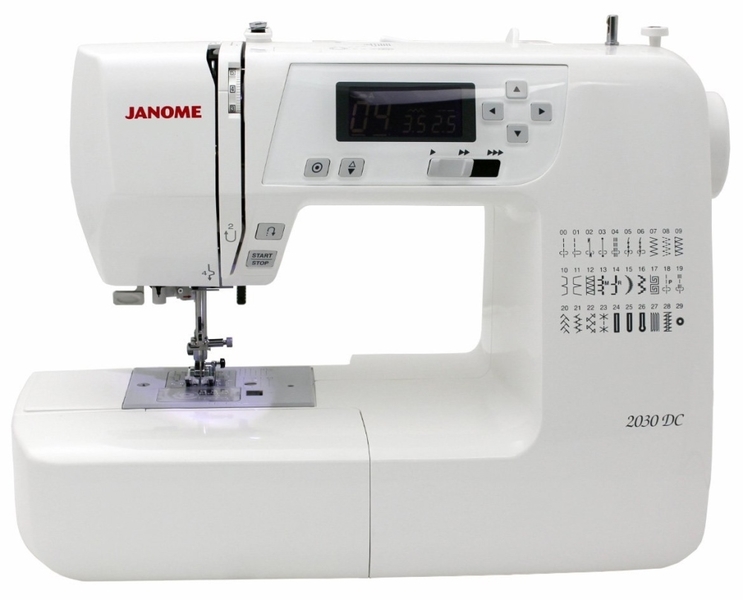 The Janome 2030DC is a fully computerised product with stitches and settings at the touch of a button. 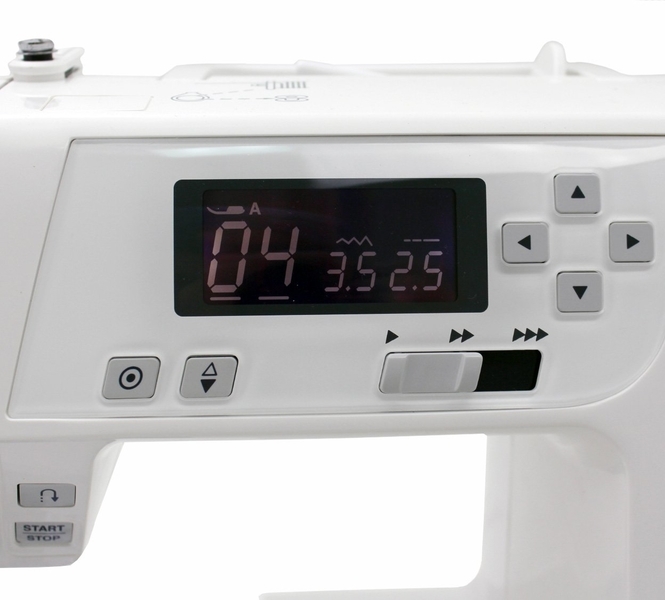 Simple and easy to operate, no fuss threading with the auto needle threader and quick set bobbin. 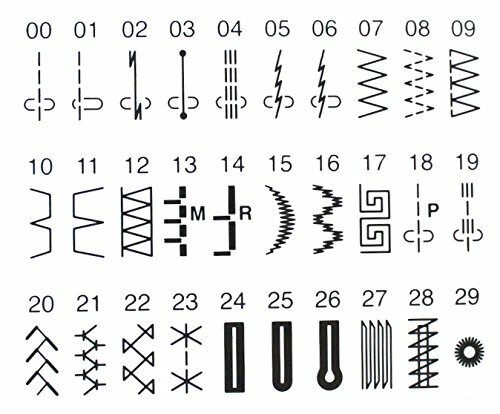 Lightweight and portable enough to take to classes, it has 30 built in stitches including 3 buttonholes for creating all kinds of projects. 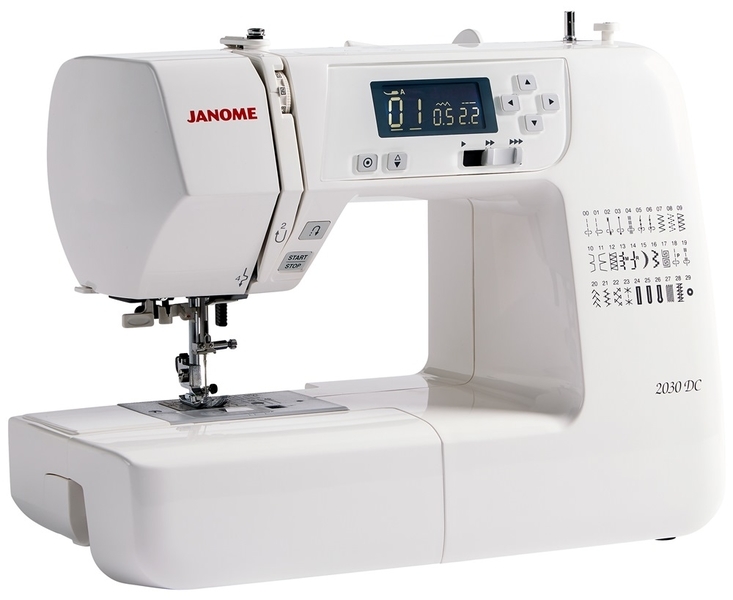 The Janome 2030DC has plenty of easy to use features to make sewing a pleasure.